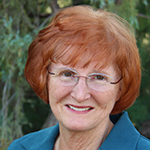 Wanda Brunstetter - Amish Country's Most Beloved Storyteller. Along with Wanda's newsletter, you'll receive secret deals, free downloads, and sneak peeks. Welcome to my writing world. It is my hope that you will not only enjoy a good story when reading one of my books, but will learn more about the Amish way of life. As I have come to know and love my special Amish Friends, I've been filled with the realization that, while they may live and dress differently than most of us "Englishers," they experience the same joys and deal with the same struggles as we do. 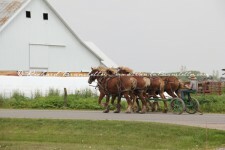 Writing about the Amish fills my heart with joy and peace. I hope reading about the Amish will do that for you as well. Family Fiction magazine readers recently selected Wanda as their #3 favorite Christian romance author. View the complete list of the top 40 Christian romance authors here. 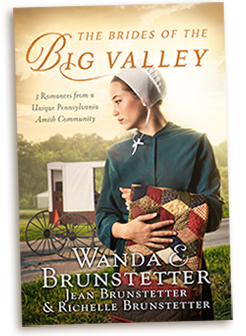 Wanda interviewed with WGRC’s Dave Jones to discuss her start as an author and why she chooses to write about the Amish community in PA.
Wanda interviewed with CBY TV to talk about her faith, her books, and the Amish people. Wanda and Jean recently interviewed with Good News in the Valley to talk about faith, books and the Amish people. Family Fiction magazine readers recently selected Wanda as their #3 favorite Christian romance author! View the complete list of the top 35 Christian romance authors here. Family Fiction featured Wanda on the cover! The August 2017 cover of Family Fiction featured Wanda and this article was inside! Family Fiction magazine chose Wanda as the featured author for their June issue. 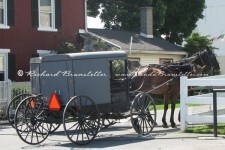 Read Wanda’s interview and catch up on Amish fiction. View the June Issue here. With over 80 books published and more than 10 million copies sold, this New York Times Best Selling author continues to reach more readers with her authenticity and heart for Amish fiction. Read the announcement here. What’s Wanda been up to? Stay tuned to the Media Appearances page for more information. To order an autographed copy of any of Wanda’s books, e-mail her for prices and ordering information.